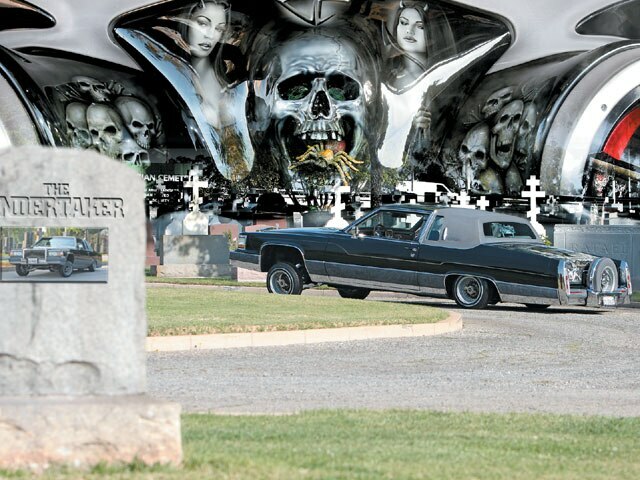 Get Ready To Be Buried By "Smiley's" Deadly Caddy. You’ve seen this guy around. 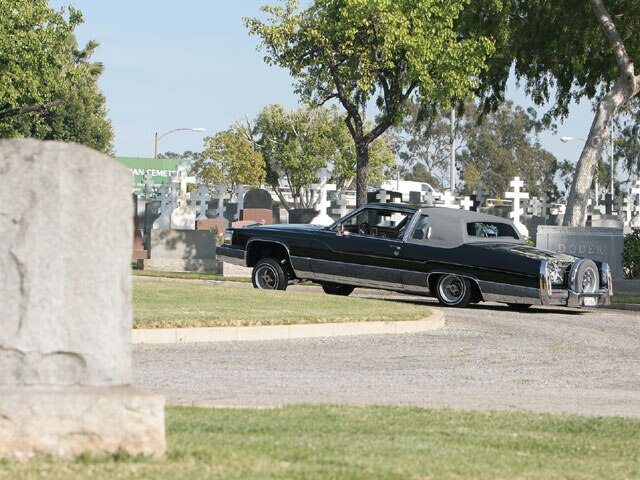 If you’ve been in the lowriding scene in Southern California for any time, “Smiley” has crossed your path at some time during his nearly two decades of riding. This particular ride, one of the many that he’s built, was purchased at a car auction; you know, the ones where someone’s unfortunate circumstance turns into the next hot project for you. Smiley’s a regular at these auctions, being the owner of Pit Stop Auto Wrecking in Sun Valley, California. 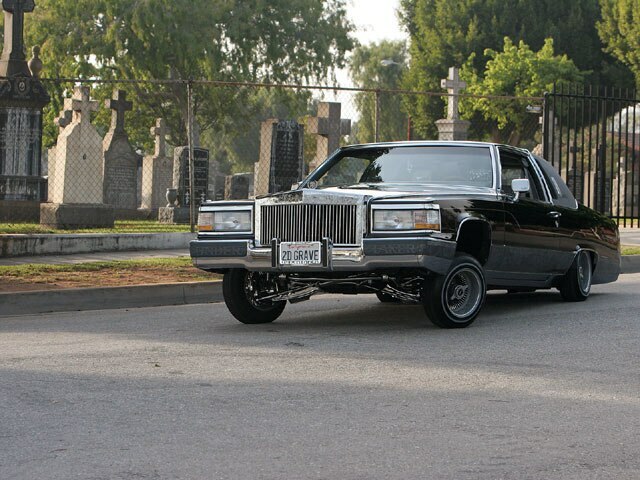 Smiley had plans for this ’84 Cadillac Fleetwood from the moment he purchased it and he’s come through on almost all of them at this point. The car was going to be black, done. It was going to have a suede interior, done. And most importantly, it was going to be called “The Undertaker,” double done. Oh, we might have just let out one of his secrets. But believe that this automotive undertaking isn’t done, and by the time that you find this on the newsstand, there will be quite a few other changes made. On a side note, Smiley at one point had a girlfriend, but she chirped out, mad at all of the attention that the car was getting. Smiley’s answer to her as she’s hitting the door was, “That’s all right. I’ll stick it in the tailpipe.” Now that’s what we call “Caddy Coupety” love. So, ladies, when you see Smiley and The Undertaker rolling through, be sure to show him and his Fleetwood some love. 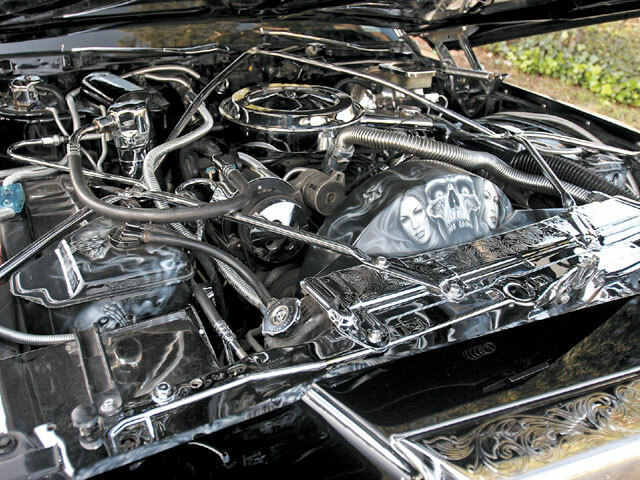 Engine/Drivetrain: A ’92 Cadillac 5.7L engine was installed by Jack at Pit Stop in Sun Valley. Body/Paint: R/M Customs in Reseda, California, did the bodywork and applied gloss black paint. The murals are the work of Abel Rocha and pinstriping was put down by Bob Coslet of Simi Valley, California. 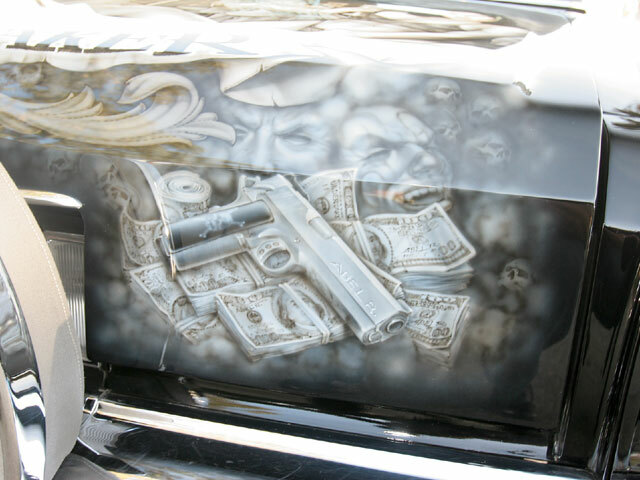 Jaime in Yucaipa, California, supplied the engraving on the suspension, gas tank and other parts. 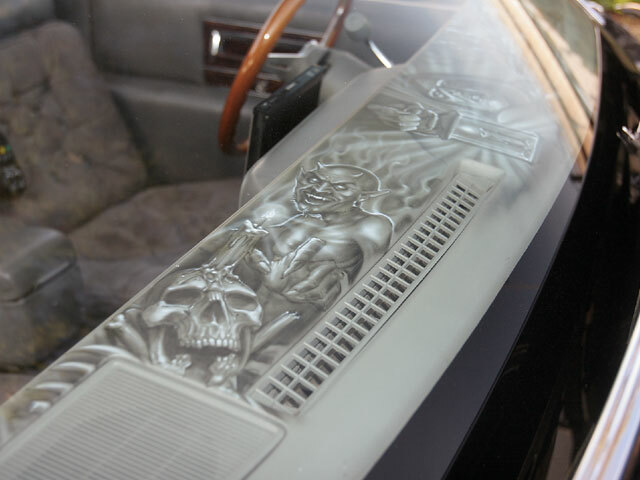 Interior: The updated ’91 interior was recovered by California Customs in Bell Gardens, California, in suede and leather. Sound System: Alfred at Valley Custom Audio in North Hollywood, California, installed a Kenwood head unit, and Rockford Fosgate amps and speakers. 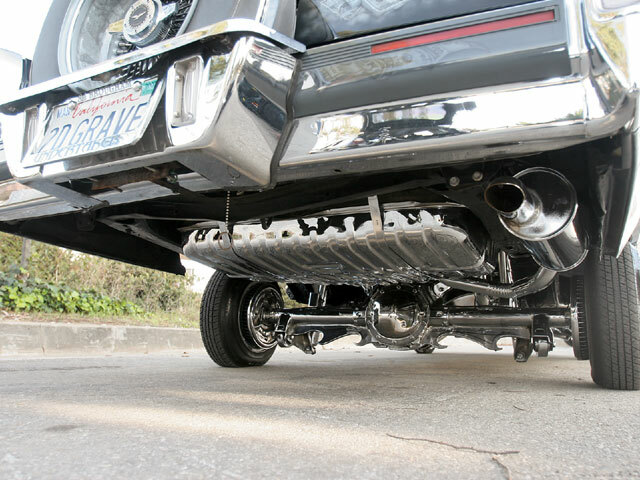 Setup: Nene at Locos Hydraulics in Los Angeles, California, installed a two-pump setup with 8-inch cylinders in the front (with 3-ton chrome springs), 12-inch cylinders in the rear and six batteries.